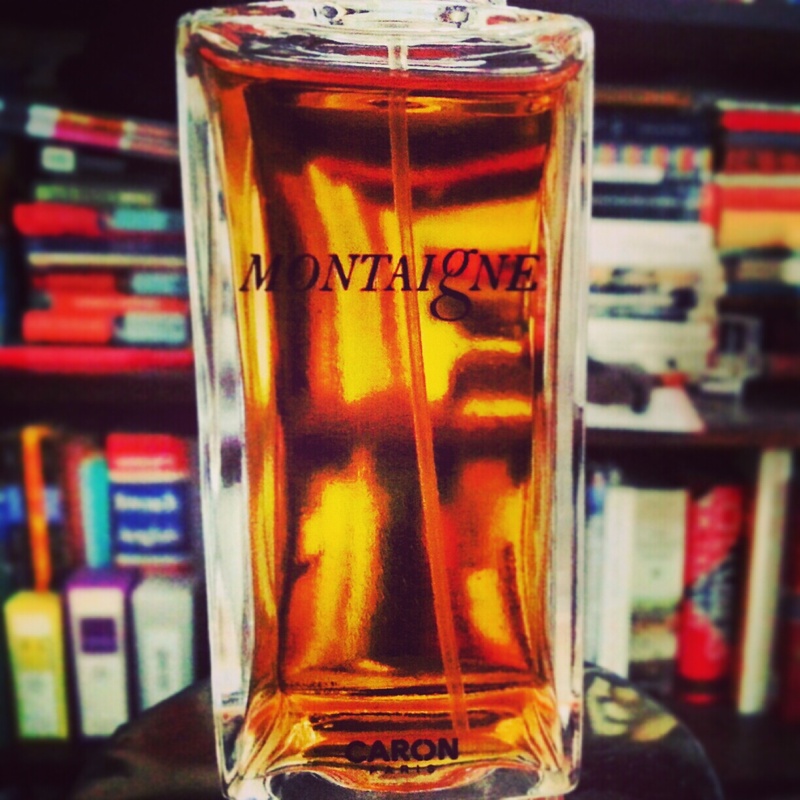 The Love for Three Oranges… Montaigne by Caron The Perfumed Dandy’s Scented Letter | The Perfumed Dandy. The relief in the street was palpable. The sound of the communal exhalation of joy. Gutters would run with water again, the tarmac glisten. Of their neighbourhood for the public health and good. The stench that no one had thought to talk of since it started. Smell that smelt just like disease. To drown the odour of despair with simple, sparkling, spiced scent. Anything, anything to replace what had hung about and between them. To dance in the streets releasing their aroma with each snap and crack. In the air as they rehearsed their nightly dance in broad daylight. Threw an unused puff and its powder from an upstairs bedroom window. And silly and special and decadent thing that they had done. All in the name of cleaning. Montaigne is a simple scent that offers an honestly contrived idea of bohemian cleanliness. It is the sort of perfume that most people who like perfume will like, but probably only a few will fall in love with. Anyone expecting modernity or a fragrance in the manner of Caron’s grand operas of the twenties and thirties will be disappointed. Setting expectations apart there is much to be enjoyed in this bright and entertaining aroma. A tart, even sharp aldehydic orange matched with yellow florals and jasmine opens. The florals then dissipate while the oranges paired with tangerines and then multiplied by berries and coriander take the floor, slowing their pace to a marmalade thick waltz. Narcissus returns and the fruits and flowers form a pas de deux that is charming without ever threatening to be moving. The conclusion of the piece is a slow fade out to amber, vanilla and powder that is entirely pleasant. The overall effect of Montaigne is a little like bathing with the highest quality soap (the kind that fails to smell soapy) after a too hot for its own good summer’s day. Clean but decidedly deluxe all at once. And in the heat, there is much to be said for that. The Dandy only wishes they made this for whole cities. In all honestly, The Dandy does like this weather rather, perhaps like many of my fellow Welsh I have a little Iberian blood somewhere in me. Also, nothing will ever be as hot as Miami! Oh dear, you have my deepest scented sympathies. 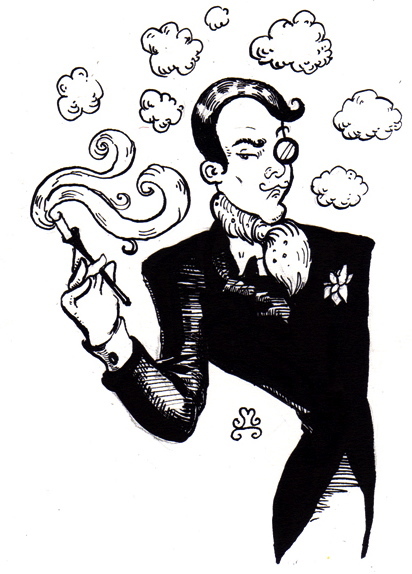 The Dandy can handle most everything, other that is than humidity. Do you have an email I can send to with a question? you are from the glorious Valleys? we hear a deep timbre and musical notes indeed. many a divine memory of Conway, on a farm, circa 1980, in something corduroy and wellington boots – ah yes. wouldn’t it be delicious if there were scents for whole cities? The Dandy is indeed from the land of song, though from a slightly more rural setting than the famed ‘How Green Was My Valley’s. Music and, indeed, verse is in the blood therefore. Corduroy too is pat of the make up and one can still be found sporting it in many hues come winter time…. in steely Conway and elsewhere. Now Patou… one does hope it was Joy, that powdery triumph recently restored to something approaching its grandeur. Mmmh. Venice once had a rather lovely scent *Venezia by Laura Biagiotti* for women. A feral plum rich with resins and spice and huge floral bouquet in the background. Sadly it has sunk to be replaced with a cheaply rendered Las Vegas version. Let’s hope the same never to the city. As for scents for cities what would we have for Bolton I wonder? You’re so right! I liked the perfume when I tried it but it didn’t grab me enough to go back to my sample. I still plan to test it more but usually if it’s not love from the first sniff it doesn’t become a full bottle ever. Yes it is very likeable (so much so The Dandy can’t work out why so much derision is dished out to it), but does it inspire love? Not in me perhaps, but I do know some, my dear mother for example, who adore the stuff: she finds especially good for yoga! If you do ever try again would love to hear your thoughts on a repeat visit. I ADORE Montaigne, but can’t describe it. You can: so thank you. I knew there would be people who love Montaigne! Well, my dear mater whose taste in such matters is unquestionable is one. And here you are another connoisseur who feels the same! It is a fine piece of work undeserving of the criticisms levelled at it. Wearing it again last night, I really felt just how clean and safe it made The Dandy feel without any nasty detergent. Do you have a theory as to why people are so nasty about it and Caron generally these days? Yes: Luca Turin. He has poisoned all of us. I think Montaigne has a certain eighties gilded vulgarity to it, like perfumes such as Sublime, Giorgio and Moschino (all of which I love, in a way), but done in the French manner and so less obviously. I didn’t even know it WAS hated. Poor Caron. “Clean but decidedly deluxe” – I want to spill a bottle in my bathtub, but barring that I will revel in your story instead. And I most earnestly do not mean this badly, for many of the greatest fragrances have been bath oils, but this would make a splendid mousse de bain. I can feel myself sliding beneath the fragrant bubbles now! Montaigne was love at first sniff for me, and will always be in my collection (I own a parfum, an EDP, and the vintage EDT is waiting in the wings). I don’t get anything particularly clean or citrusy from it – on me it’s powdery mimosa, with a long sandalwood drydown. I’m a big fan of the House of Caron. Welcome to The Dandy’s so pleased to meet you! The Montaigne I tested, and own, is the Eau de Parfum pictured at the top of the post: a wonderful square urn one might describe it, in a deco manner coming in a pure gold card box. I have heard other people talk about this perfume as primarily yellow floral in character, yet on me the orange always comes to the fore. It is not however the sharp citrus that we associate with this note in much perfumery but something more savoury and ‘thick’. I wonder this has to do with the skin, the climate or one’s own preferences. I always believe that only the best made perfumes contain sufficient depth to allow such different interpretations. The drydown I agree has a great deal of powder and a sandal-wood like softness. It’s so good to find another fan of Caron… I am devoting this week to perfumes from this great house and have already posted reviews on Tabac Blonde, Narcisse Noir and Parfum Sacre. I too am from the land of song. Sadly I lack the rumoured Iberian gene and my freckles do not help me to enjoy anything above 22C! Your Celtic roots may explain your lyrical use of language and eye for beauty. Clearly, we are both marvellous. I have a sample of Caron’s Montaigne upstairs and I distantly recall that whilst the citrus was there, it was not sharp. It was more Pamplelune than Tango! However, your affection for it will lead me to try again. It was a long time ago, and my olfactory memory may need a filing system by now, so do excuse me if my description does not match yours! Yes we are two sorts are we not The Welsh, the swarthy Iberian lot like The Dandy and the fair Celtic maidens like yourself. We are however, as you point out, united in our wonderfulness! Thank you for pointing out that the orange here is not sharp beyond the opening aldehydic stage, I meant to point out that it thickens into something more like bitter marmalade, truly the most edible phase in the scent. I’ve amended the above to reflect this, though sniffing again there is definitely an eyebrow-raising tartness to the opening that lasts a good 15 or 20 minutes on me… I have heard it said that citruses fix more easily to male skin, and whilst I’m dubious about such broad statements it’s worth noting I suppose. I wonder too from the varying reactions to the perfume whether there are inconsistencies between batches and several reformulations. Sometimes I think one of the most valuable elements of attending to older fragrances is to flush such things out. Now however, my mind is wandering. Thank you though as always for wandering by and sharing your perceptive words. I adore Montaigne too. Love the jasmine and rose middle notes after the spicy sharp top notes ant the dry down is gorgeous. For some reason it is readily available cheaply at present – was a very successful blind buy! I have two back up bottles and may get more. Yes, Montaigne has flooded the market and I have been buying it as a ‘for no reason’ gift for assorted delight friends of late. I’m sure the current crop cannot last forever, so how very wise of you to stock up!